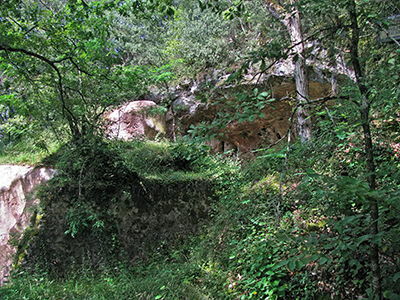 Combe Grenal is an archeological site consisting of a collapsed cave and a slope deposit near Domme, Dordogne, France. 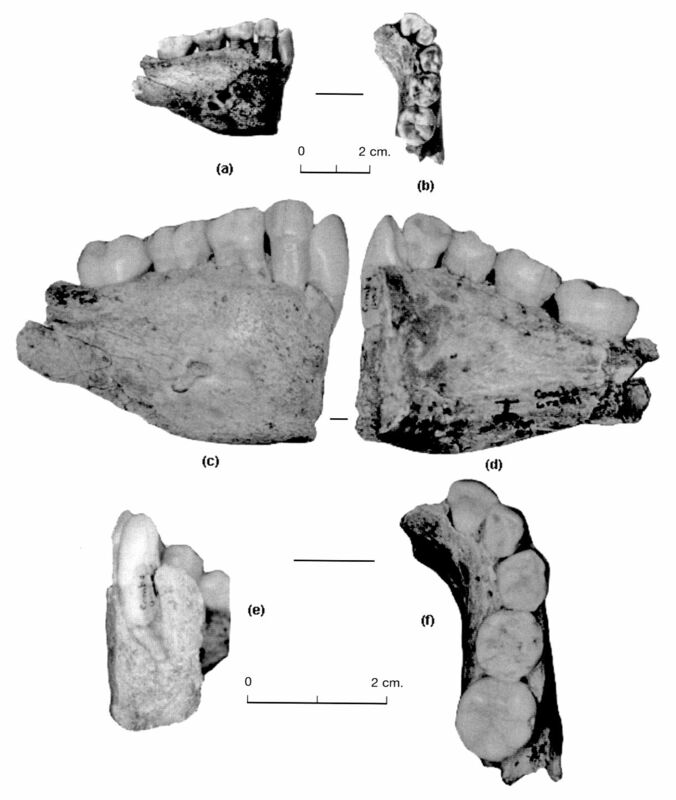 It dates from ca 175 000 to ca 50 000 BP. 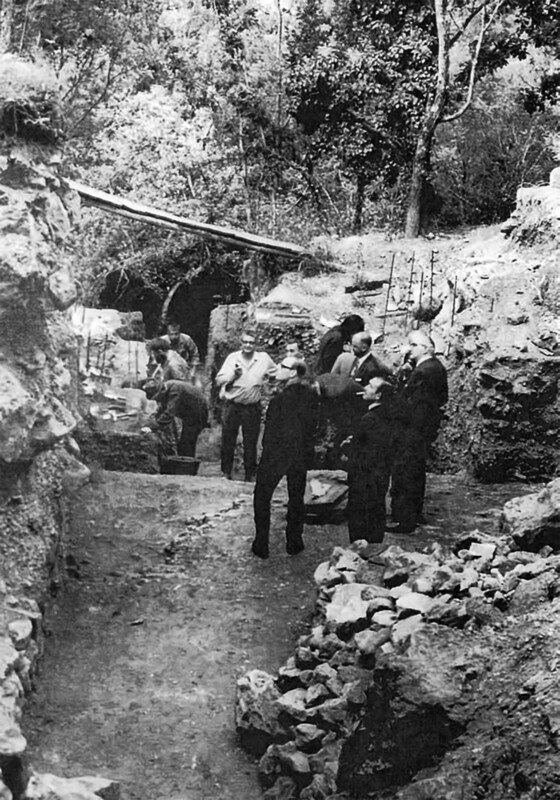 The cave was first thoroughly excavated by François Bordes from 1953 to 1965. 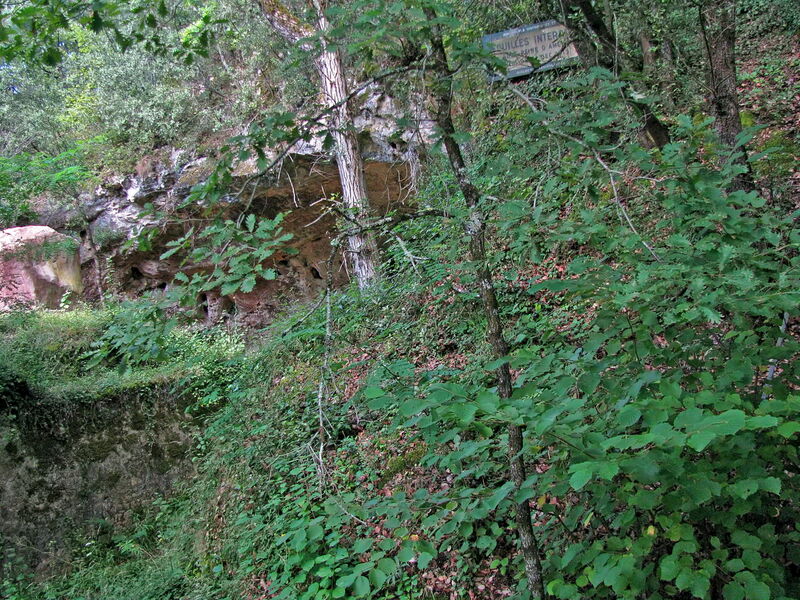 The site's stratigraphic sequence is 13 metres in depth and has at least 64 layers. 55 layers are Mousterian while the 9 layers near the bottom are Acheulean. 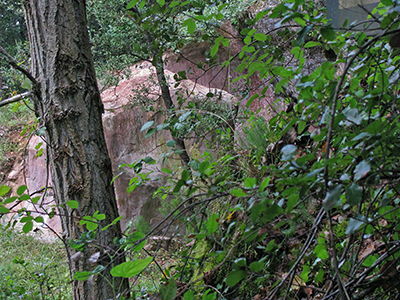 The oldest layers date back to the end of the Riss glaciation and the youngest to the Würm glaciation. 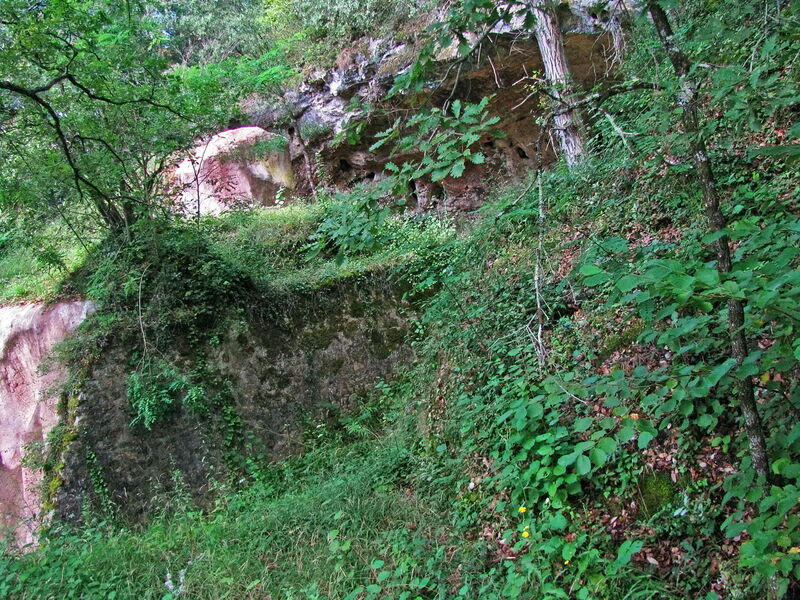 La Grotte de Combe-Grenal gisement at present consists of a small cave, preceded by a rock overhang, located on the south-facing slope of a small dry valley only one kilometre to the south of its confluence with the main Dordogne valley. 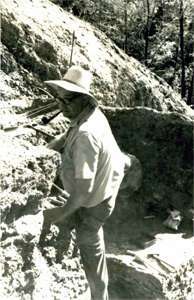 Excavations carried out by François Bordes between 1953 and 1965 revealed a sequence of almost 13 metres of rich archaeological deposits, apparently spanning the period from the final stages of the penultimate glaciation (isotope stage 6) through to almost the end of the Mousterian succession. François Bordes at Combe Grenal. 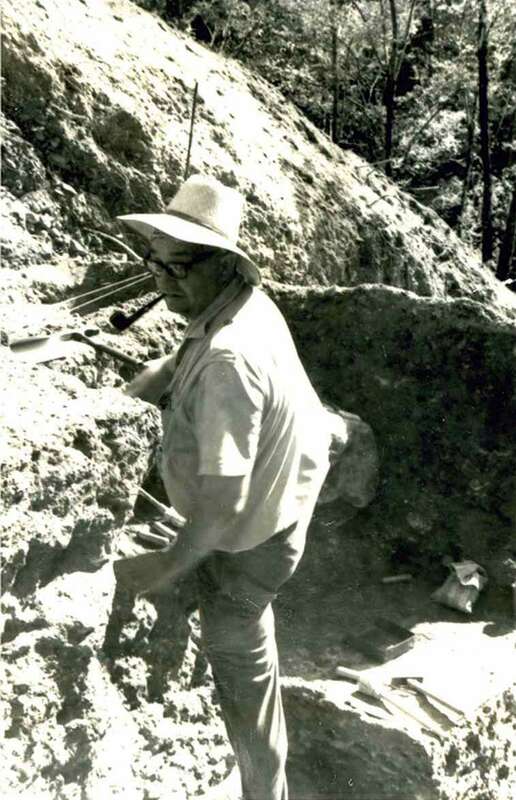 The distinguished archaeologist James R. Sackett has written an interesting short Biography of François Bordes which may be of interest to readers. 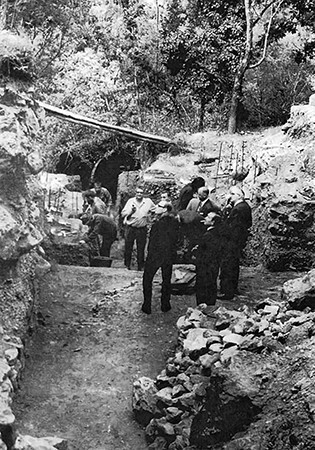 François Bordes at Combe Grenal, site visit (Combe-Grenal, late 1950s). Combe-Grenal today. The dig has been enclosed by a secure fence, and the sides of the dig have been protected by cement and stone for further digs as appropriate. 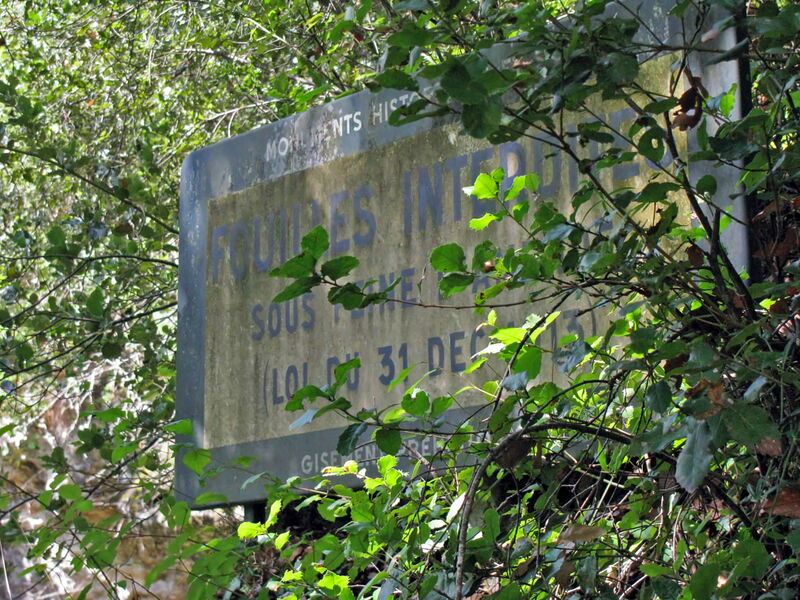 The French Government takes very good care of its national monuments. 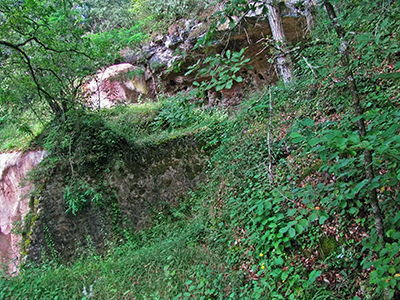 La grotte de Combe-Grenal is found in a little valley situated to the east of the village of Domme, 10 km to the south-east of Sarlat, quite near the valley of the Dordogne, in the south west of France. 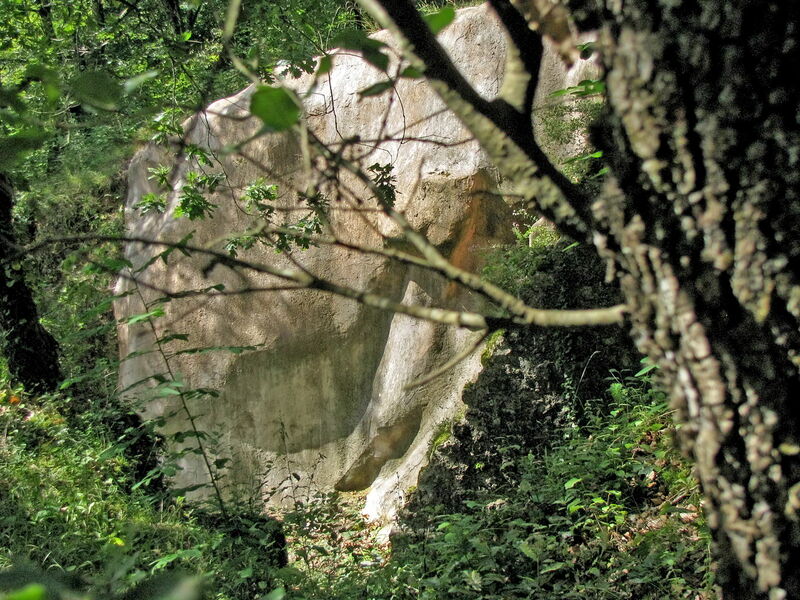 It has been the object of numerous archeological campaigns conducted by François Bordes between the years 1953 and 1965 which have revealed a complex stratigraphy, reaching from the Acheulean (layers 64 to 56) to the Mousterian (layers 55 to 1). It is in beds corresponding to different parts of the Mousterian, and attributed to the end of the Würm I and to Würm II, that the analysed human remains were found. Map of sites in the south of France, including Combe Grenal, showing ice age coastlines. Superb watercolours were done for this exhibition by the French artist, Emmanuel Roudier, as shown here. In several archaeological sites (Pradelles / Marillac, Combe-Grenal), scattered human bones show signs of cutting. These marks imply a direct intervention on the corpses immediately after death or a little later. 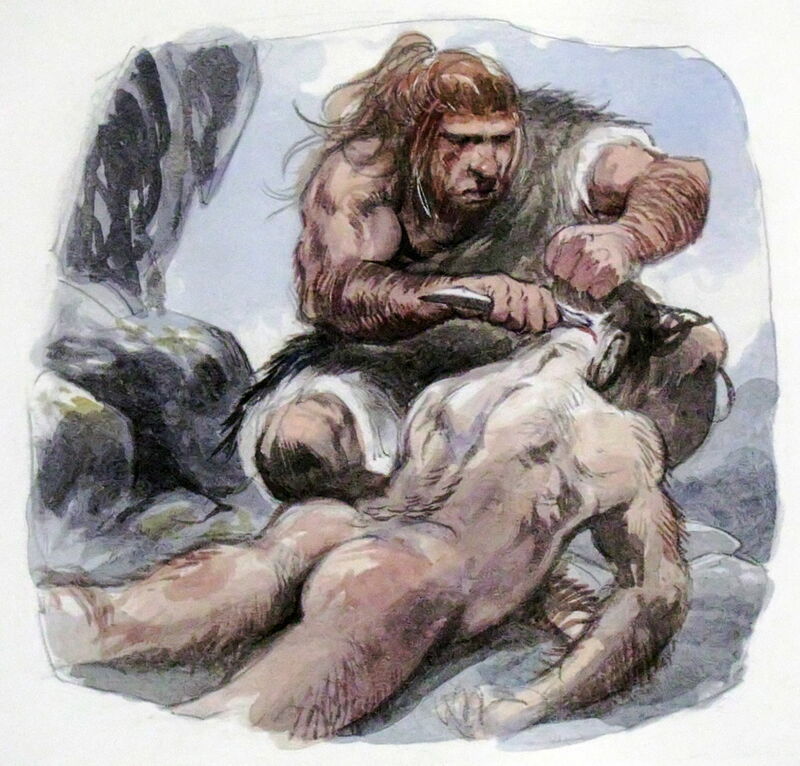 These actions may correspond either to cannibalism or to a complex funeral ritual involving the total or partial dismemberment of the corpses. See Garralda et al (2000) for more detail on these particular remains. Note that this view shows the obverse of the image above. Combe-Grenal I. (a) and (b) J. Piveteau pictures, (c) External side, (d) Internal side, (e) Symphyseal region, (f) Upper view with M1, m2, m1,c and 12. 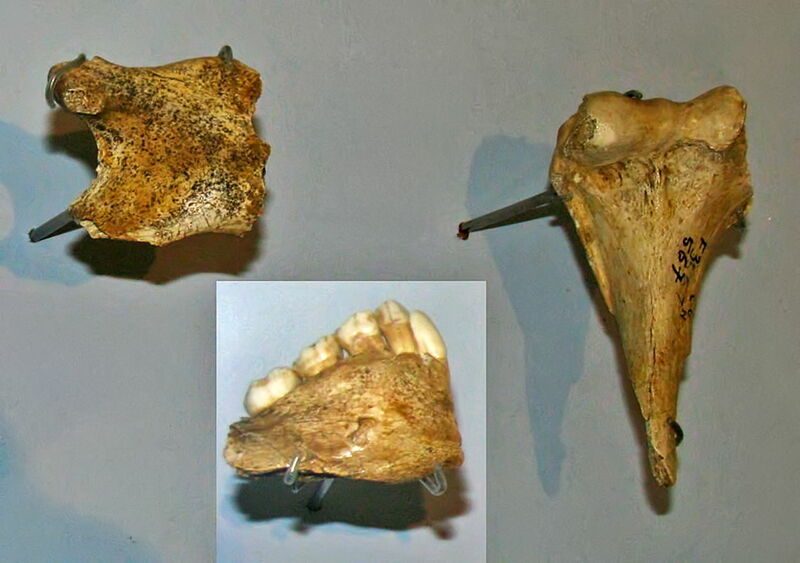 (b) sides of the mandibular ramus. (d) sides of the mandibular body fragment. 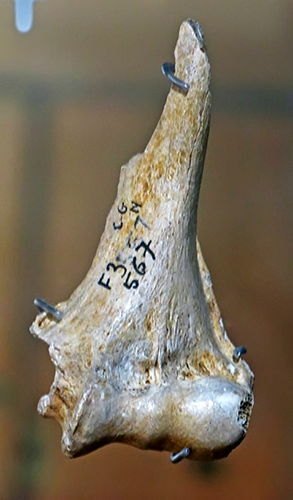 (e) Upper view of the mandibular body fragment with M1 and P4. (E): Enlargement of the anterior region of the trochlea. (F): Combe-Grenal 21. (G): Combe-Grenal. 26. (H): Combe-Grenal. 25. (i): Combe-Grenal 24. (J): Combe-Grenal 23. (k): Combe-Grenal 22. Combe-Grenal 845 top views, plantar and lateral. 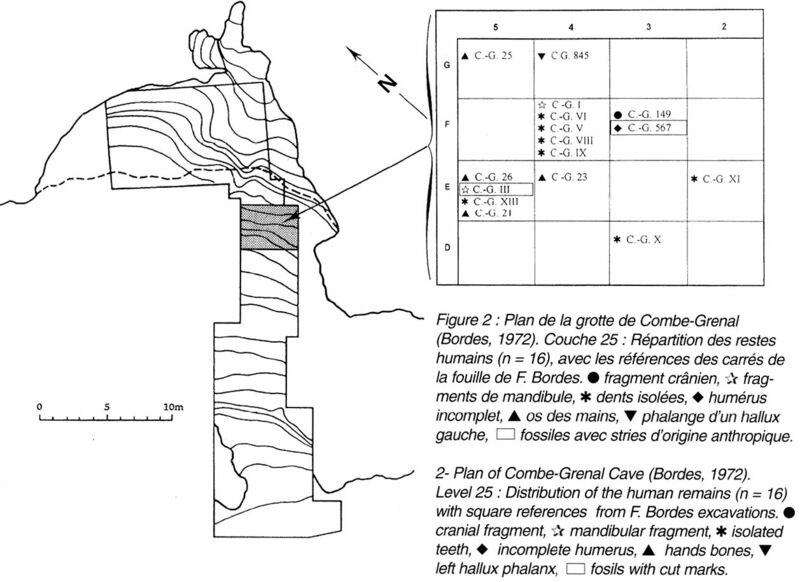 In this study, we report on the analysis of the human remains found by D. and E. Peyrony and F. Bordes during their archaeological excavations in Combe-Grenal Cave (Domme, Dordogne, SW France), a well known and crucial site with a complex stratigraphy extending from the Acheulian to the final Mousterian. The anthropological materials were found in several Mousterian levels, some assigned to isotopic stage 5a but most to stage 4; their chronological position is around 70 000 BP, at the beginning of the early Würm. 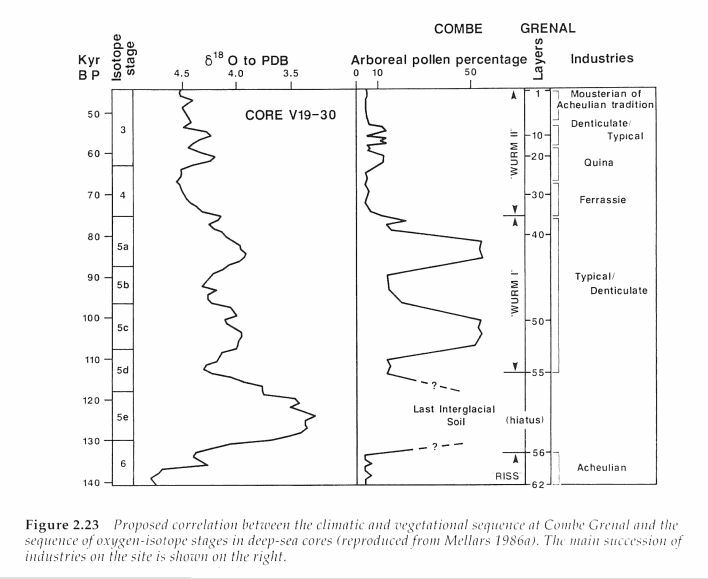 Chronostratigraphic data document climatic changes towards colder conditions, first humid and later increasingly drier, as well as a progression of the open arctic milieu fauna. 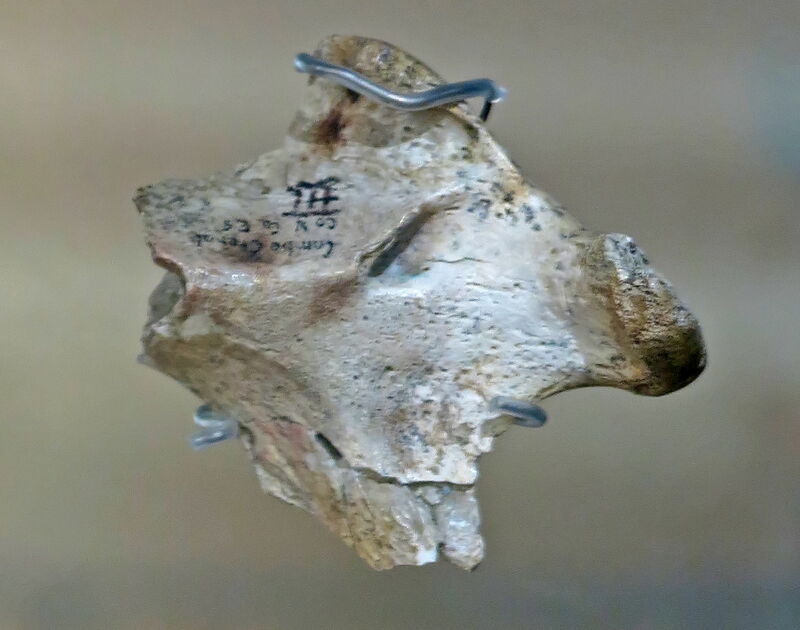 One P3 was found in level 39 and one frontal fragment in level 35, but the main part of the collection, comprising 27 fragments was found in level 25. The sample from level 25 is composed of at least eight individuals: two children, two or three juveniles, and several adults of different ages. 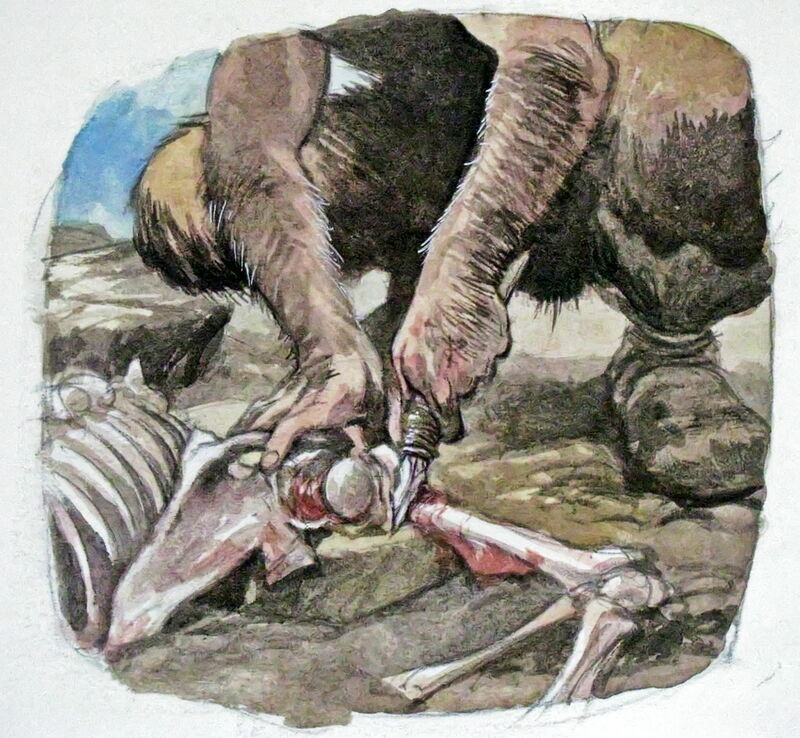 The human remains were fragmentary and randomly mixed with abundant faunal remains and stone tools, all of which were found dispersed on the living floors. There was no trace of deliberate burial. Detailed morphological and anatomical analyses of the cranial and post-cranial remains have led to their assignation to Homo sapiens neanderthalensis. 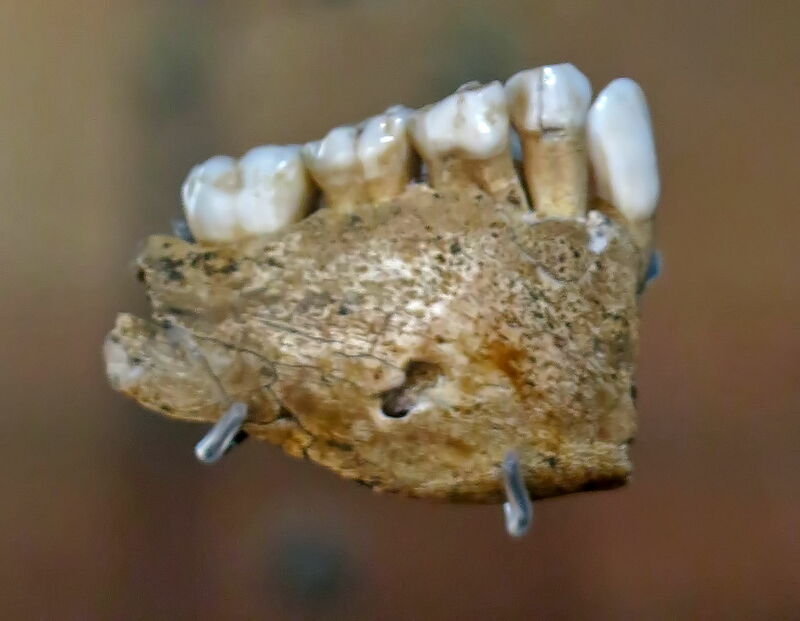 Several hypoplasic lesions, accentuated attrition, cracking enamel, teeth rotation, periodontal disease, and osteoarthritis have been identified on different individuals, as well as post mortem cut marks (defleshment for cannibalism?) 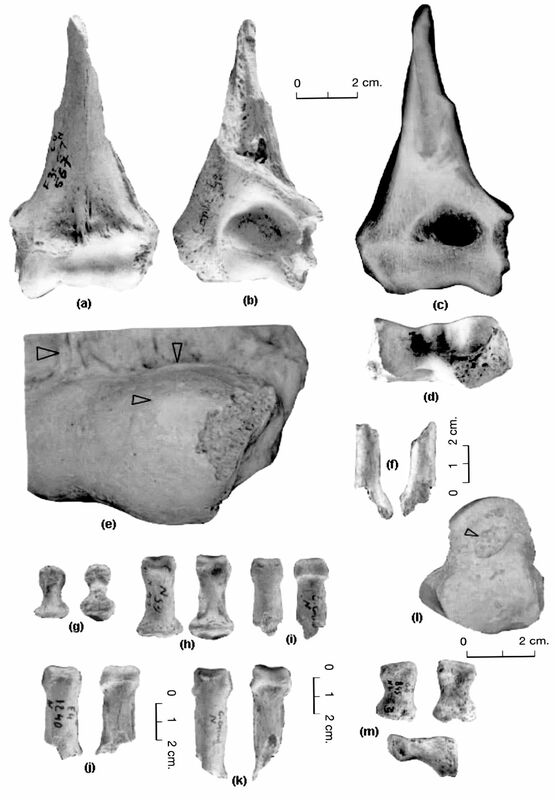 on one juvenile mandible and one adult humerus. 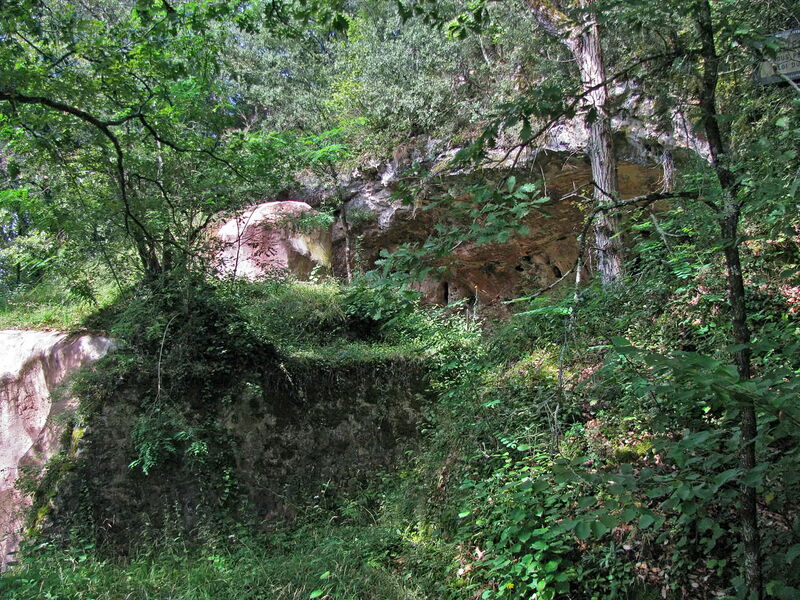 The Combe Grenal site at present consists of a small cave, preceded by a rock overhang, located on the south-facing slope of a small dry valley only one kilometre to the south of its confluence with the main Dordogne valley. 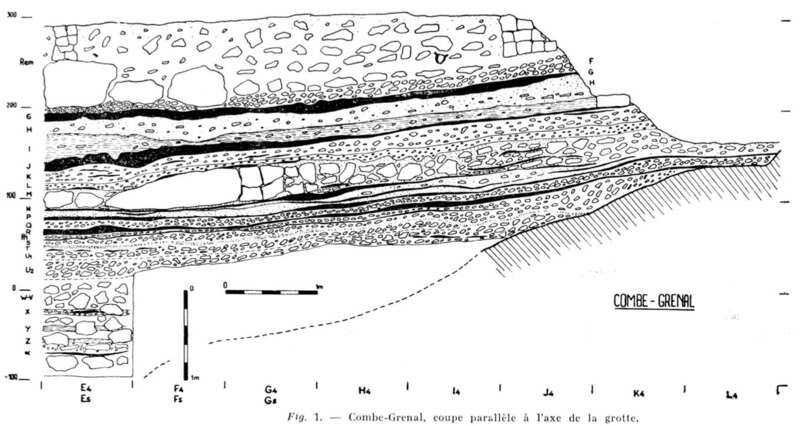 Excavations carried out by François Bordes between 1953 and 1965 revealed a sequence of almost 13 metres of rich archaeological deposits, apparently spanning the period from the final stages of the penultimate glaciation (isotope stage 6) through to almost the end of the Mousterian succession, around 45 - 50 000 BP. The deposits occupy a succession of major erosional steps in the underlying bedrock formation, which become progressively younger in age and retreat progressively towards the north (i.e. away from the adjacent valley) during the different stages of the occupation sequence. In all, 55 distinct levels of Mousterian (i.e. last glacial) occupation have been identified with the sequence, underlain by at least nine levels with late Acheulian industries. Combe-Grenal, photographs taken from the right hand, eastern side. The original trench which climbs the hillside has been covered with concrete to prevent vandalism, pilfering and erosion. 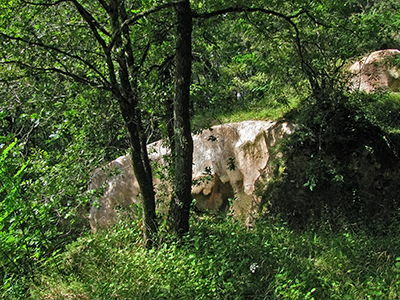 As a record of changing climatic and ecological conditions through the greater part of the Middle Palaeolithic time range, this sequence is unique within south-western France. 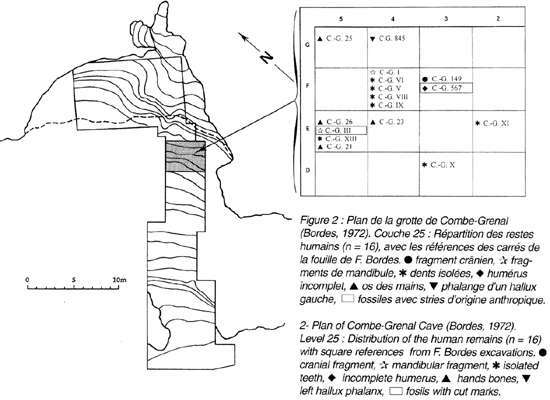 During the early 1960s Bordes established a close working relationship with Lewis Binford, and a major monograph is now in preparation, setting out the full results of the spatial analyses. Fluctuating frequencies of the four principal faunal taxa recorded throughout the Combe Grenal sequence, based on counts of numbers of identified specimens of the different taxa. 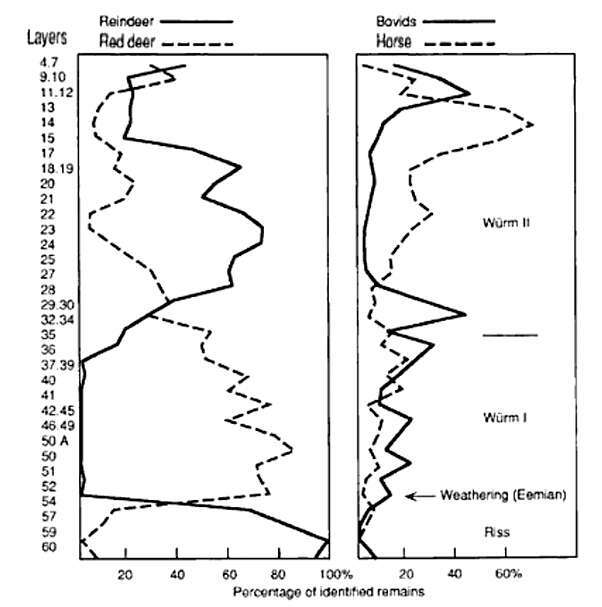 The most striking feature is the shift from the heavily red-deer dominated faunas in the later, 'Würm I' levels of the last glacial sequence to the mainly reindeer dominated faunas of the later, Würm II levels, reindeer are represented by only seven identified specimens which could well be derived from the underlying 'Rissian' levels, in which reindeer remains are abundant. After Bordes and Prat 1965. 1) Reworked layer, probably of the Middle Ages, with shards of glazed pottery mixed with flints. 2) Layer F: under a large limestone scree, a layer of limestone rubble, yellow, angular, with a poor industry: Denticulate Mousterian, (dominated by denticulated and notched implements - Don), of non-Levallois type. 3) Layer G: hearths, gray, hardened. Abundant lithic industry of the same type. Rich in the remains of horses. 5) Layer I: gray silt, fine, sometimes like loess, gullied by the H layer, with some scree. It gullies in turn the lower fireplace, black in colour. Industry: Mousterian la Quina type. 6) Layer J: Continuous black fireplaces, variable thickness, Denticulate Mousterian, apparently like layers F and G, but better made. 7) Layer K: Small limestone scree, with small scattered fireplaces. Industry: Mousterian la Quina type. 8) Layer L: a more earthy layer, brownish, with larger fireplaces. Industry: Mousterian la Quina type. 9) Layer M: Scree in the interstices of a collapse of the vault. Small hearths. Industry: Mousterian la Quina type, rare. 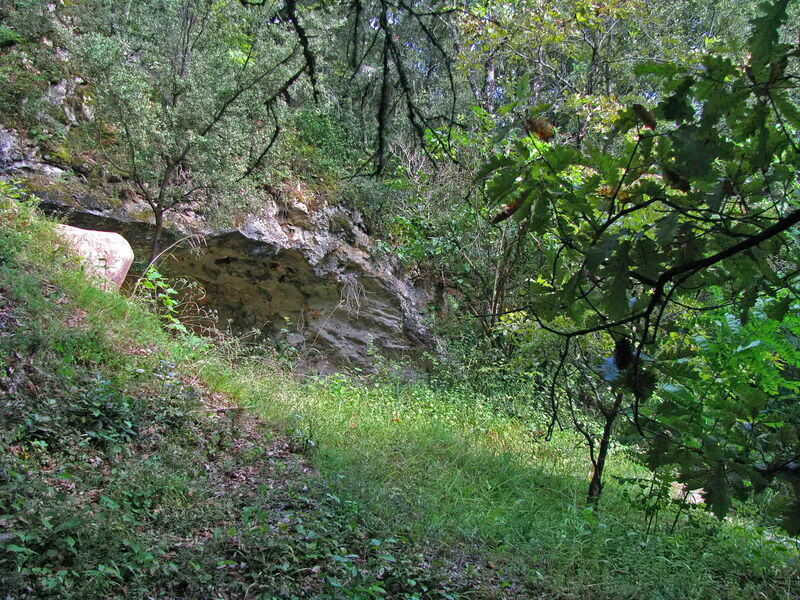 10) Layer N+: Small scattered hearths, and mostly to the rear of the cave. Industry: Mousterian la Quina type. 11) Layer N: Directly under the big collapse. Fireplaces thin, but continuous. Industry: Mousterian la Quina type. Human Remains. 12) Layer N1: Very thin small fireplaces, quite separate from N but sometimes confused with P. Industry: Mousterian la Quina type. 13) Layer O: Sterile, but discontinuous. 14) Layer P: Continuous hearths, fairly rich in less angular limestone scree. A rich and beautiful industry that would appear intermediary between la Quina and la Ferrassie. But as it is possible that in the edges E3, E4, K4 and L4, the layer N1 may be confused with P, following the excavations the question will need to be settled of industry transition, or of simply mixing layers. 15) Layer Q: Scree quite rounded, with very thin discontinuous hearths. Industry: la Ferrassie, attenuated. 16) Layer R: Continuous hearths, fairly widespread, especially with fragments of burnt bones. Industry, very beautiful, la Ferrassie, attenuated. 17) Layer R1: Thin hearths which seem to contain an industry less rich in scrapers than the industry of the previous layer. This could be typical of the Mousterian, but we do not have enough items yet to eliminate the possibility of a statistical fluctuation. 18) Layer S: Rounded scree (probably by solution), sterile. 22 and 23) Layers V and W: Some rare flints forming perhaps two very poor layers. 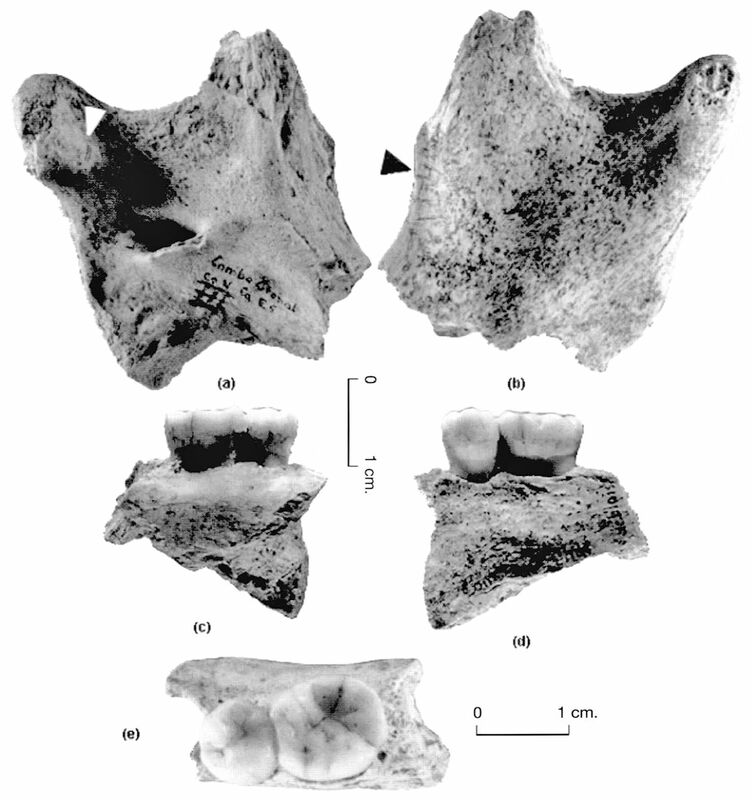 Mousterian. 24) Layer X: Discontinuous hearths, with a beautiful industry of type la Ferrassie. 25) Layer Y: Red clay layer, poor industry. Industry possibly la Ferrassie. 26) Layer Z: earthy, brown, poor industry, possibly typical Mousterian. 27) Layer Z1: Granules, very poor lithic industry, lustrous and crushed slightly. 28) Layer Alpha: Pockets of fireplaces, thickness ranging between 1 and 30 cm, characterized by a very rich industry of denticulate Mousterian, with Levallois debitage, a quartz chopping tool and a flake of the type Abri Olha, in the Atlantic Pyrennees. 29) Layer Beta: large rocks, with some flint nodules. Bedrock has not yet been reached. Translated from the French by Don Hitchcock. 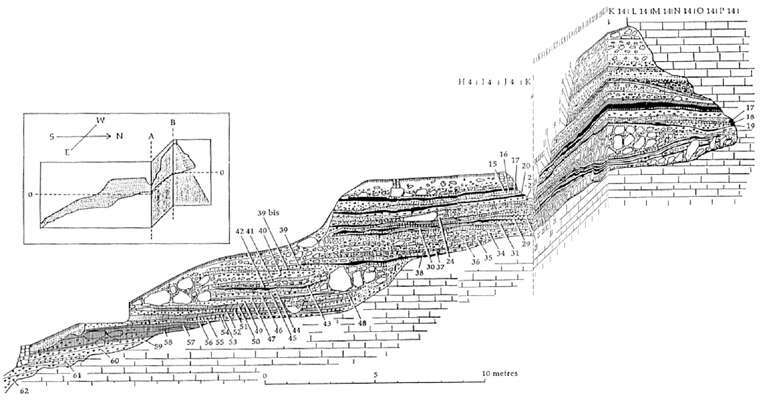 Statigraphy of the rock shelter deposits at Combe Grenal, showing the upper and lower parts of the sequence. Note that the section shown here is folded, and therefore includes both lateral and transverse components of the stratigraphy, as indicated in the central diagram. 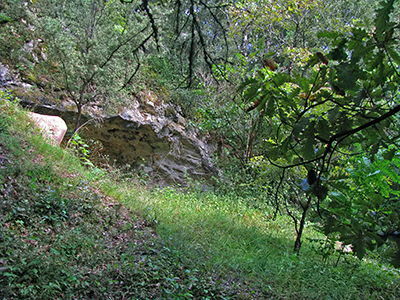 Note how the deposits lie on a series of erosional platforms in the underlying limestone, which become progressively younger in age as the rock shelter recedes towards the north. The deposits span a total of over 13 metres, and cover the period from the end of the penultimate 'Riss' glaciation (layers 56-65) to around the middle of the last glaciation. After Bordes 1972. (Note that the cross section "turns the corner" as I have tried to illustrate in the lower diagram, adapted from the one above, itself an amalgam of two diagrams in the original source. Thus from the left hand side of the diagram to the dotted line marked 'A' the cross section runs from south to north. Then from 'A' to the dotted line at 'B' it runs from east to west, then from 'B' to the right side of the diagram, it runs from south to north again. 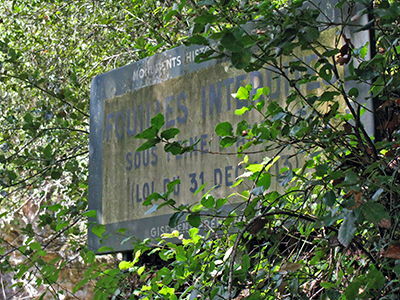 Industrie lithique associée aux restes humains de Combe-Grenal, fouille F. Bordes. Lithic industry associated with the human remains of Combe-Grenal, from the excavations of F. Bordes. The tools shown here are a scraper on a triangular Levallois-flake and a denticulate from Combe Grenal. It is not known if these artifacts were found in a single layer. Lissoir, a bone polisher for the preparation of leather from hides. Poinçon, a bone awl for making holes in soft materials such as leather. 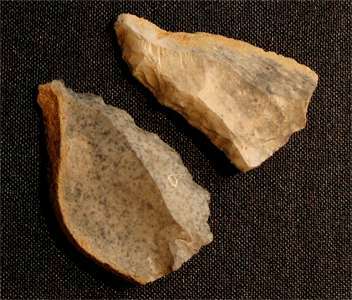 Retoucher, used for sharpening and reshaping of flint tools. On smaller, finer flake or blade tools it is sometimes carried out by pressure flaking. This is the overhang reached by the lower south-north trench. The trench then continues to the left, towards the west. 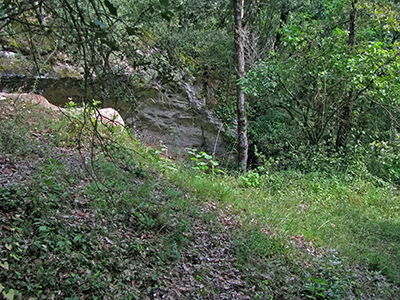 The basal part of the filling (layers 65-56) consists of a series of stony 'eboulis' deposits which extend over a depth of ca 2.5 metres and lie on the lowermost erosional step in the bedrock formation. These levels were formed under extremely severe climatic conditions, possibly the coldest conditions in the whole of the Combe Grenal sequence. It was a period of extremely cold, dry climate with intensive frost action. 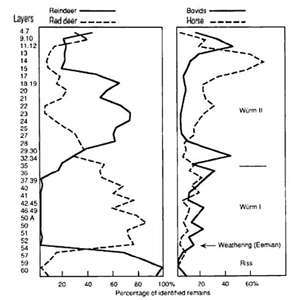 The remains of reindeer in these levels account for between 92 and 97 percent of total ungulate remains, with sporadic traces of other species such as red deer and horse. These levels produced a series of late Acheulian industries characterised by rather crudely made hand axes and low frequencies of Levallois technique. 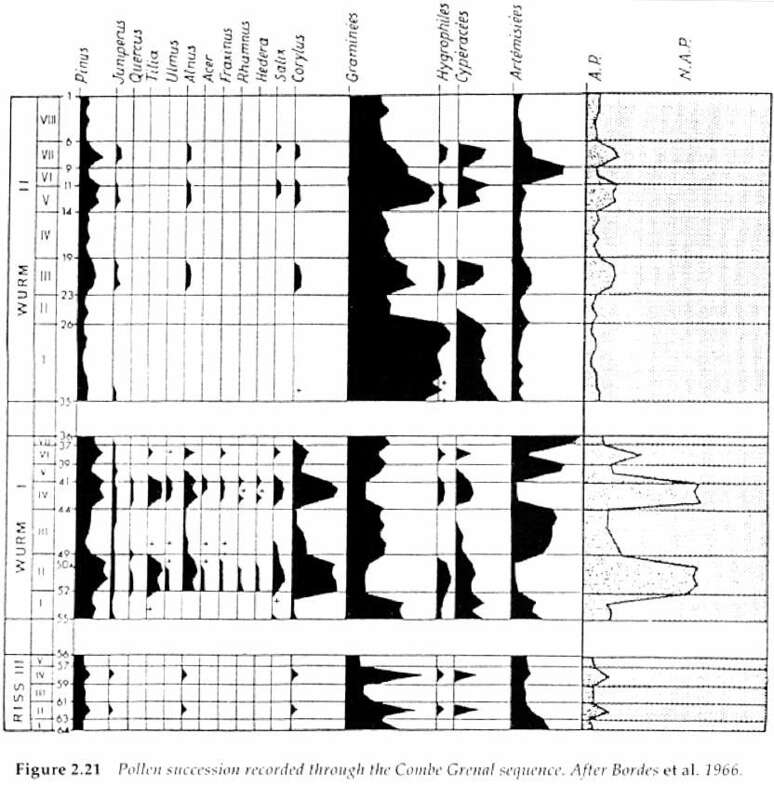 Proposed correlation between the climatic and vegetational sequence at Combe Grenal and the sequence of oxygen-isotope stages in deep-sea cores. The main succession of industries is shown on the right. 2. 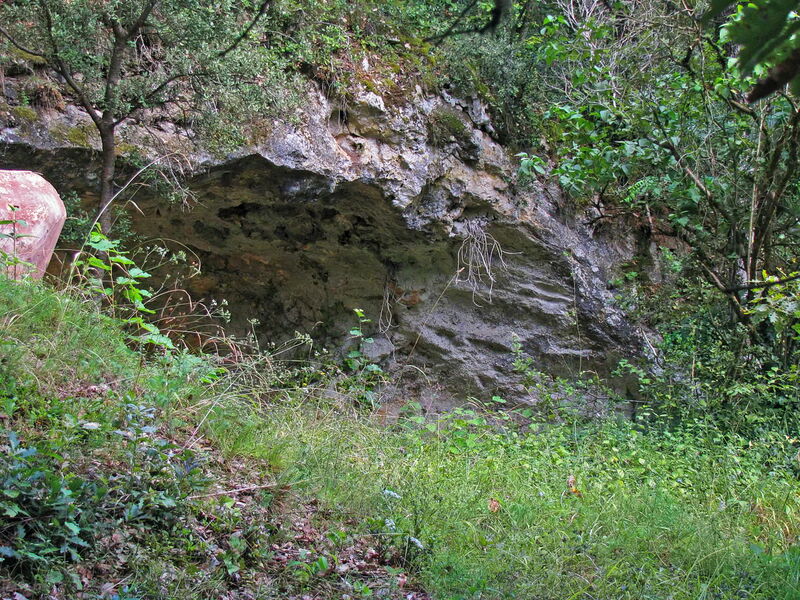 The second major climatic episode is represented by a period of heavy weathering and associated soil formation which affected virtually al deposits during the preceding 'Rissian' period to a depth of at least 1.0 metres. It is unlikely that any entirely new deposits were laid down during this interval, and the upper levels of the associated soil horizon were truncated and eroded by the effects of heavy humidity during the later stages of this period. Thus there are no direct records of either pollen, faunal remains or associated archeological assemblages for this interval. Nevertheless, it represents a prolonged period of very warm, humid climate which must have persisted for several thousand years. This can be correlated with the peak of the last interglacial period (i.e. isotope stage 5e of the deep-sea sequence) and accordingly dated to around 120 - 125 000 BP. 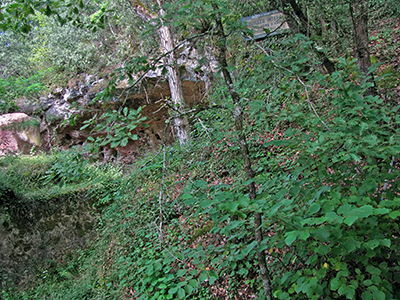 Combe-Grenal near the overhang, photograph taken from the right hand, eastern side. This shows the trench taking a sharp left hand bend after reaching the overhang. The trench then continues to the left, towards the west. 3. The third major phase in the Combe Grenal sequence is the block of levels from 55 to 38 spanning approximately 2.5 metres in depth and lying, once again, on a separate erosional step in the bedrock formation. 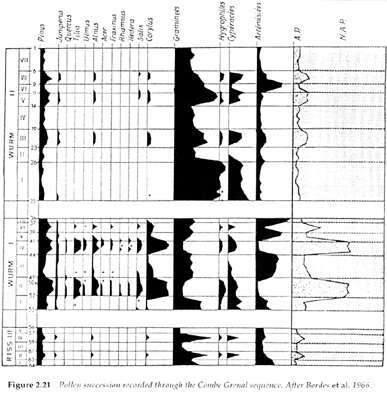 During the time of this deposition, there were four major clmatic oscillations comprising two major cold episodes and two prolonged episodes of a much warmer climate. The cold episodes of layers 55-53 and 49-44 were characterised by severe climatic conditions leading to intensive frost action and reduced tree pollen frequencies to around 12-15 percent, still higher than the those recorded in the majority of underlying 'late Rissian' levels. The climatic conditions never approached the severity of those recorded during the preceding cold phase of isotope stage 6. The two warm episodes of layers 52-50A and 43-41 reflect a dramatic change from these conditions. In these levels overall arboreal pollen ratios rise to between 60 and 70 percent and now include substantial frequencies of a wide range of warmth-demanding deciduous species such as elm, oak, alder and hazel in addition to the hardier species such as pine and juniper. Climatic conditions approached those of fully interglacial conditions. In all levels 55-38 remains of red deer are clearly dominant, accompanied by sporadic remains of horses, bovids, wild pig and roe deer. 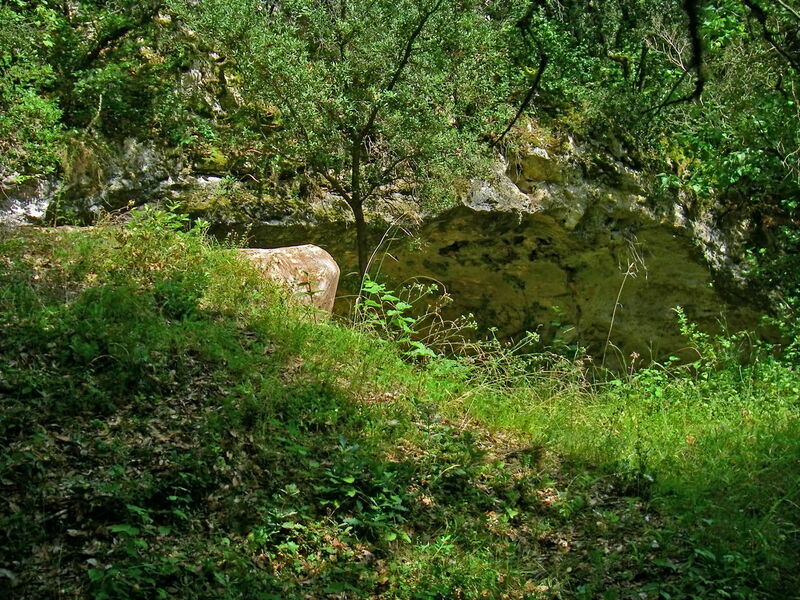 The climatic sequence implies a dating for these levels in the region of ca 115 000 - 75 000 BP. 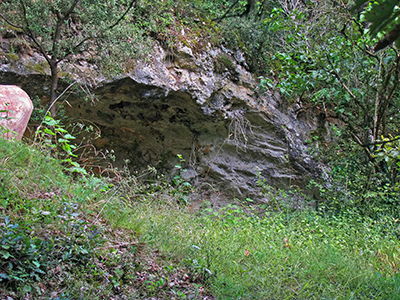 Combe-Grenal cave - photograph taken from the left hand, western side. 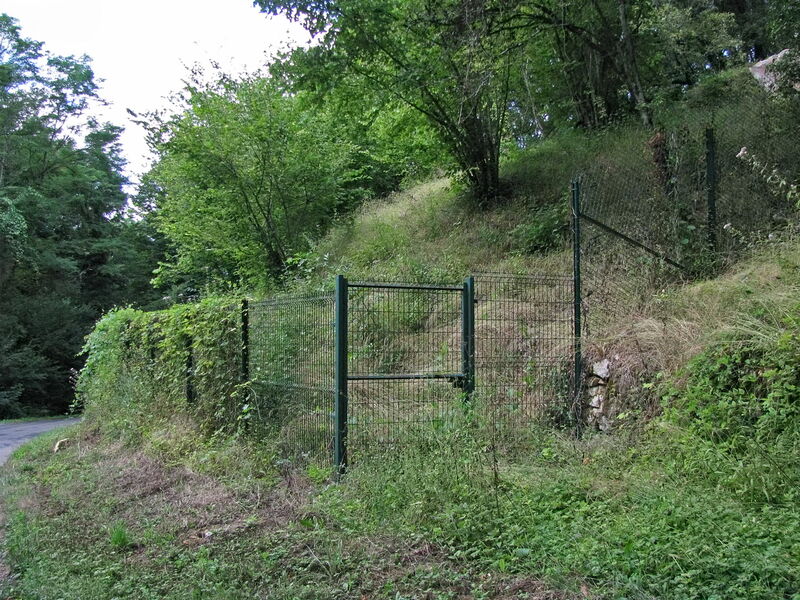 The fence was high, the slope beside the fence was steep, and taking photographs was very difficult. 4. A more dramatic shift in the climatic history of the sequence is reflected between layers 37 and 35. Overal arboreal pollen ratios fell to levels substantially lower than earlier Würmian levels in the site, and are marked by the total disappearance of all species other than pine. In addition, species such as Ephedra, Galium, Armeria and Poterium mark the onset of more rigorous, drier and more steppe like conditions. Also, this period is marked by a dramatic increase in the frequency of reindeer, which rise from effectively zero percent in layer 35 to between 60 and 70 percent in the overlying layers 28-23. The deterioration in climatic conditions between layers 38 and 35 coincides with the transition from stage 5 to stage 4 of the isotope record, around 73 000 BP. Concrete protection of the trench walls. Photograph taken from the right hand, eastern side. 5. The extremely cold climatic conditions which first appeared in levels 37-35 persisted through the majority of the levels 35-1. In most of these levels tree pollen frequencies remain at extremely low levels, mostly between 5 and 10 percent, and pine is almost the only species represented. There is a general shift from predominantly grass-dominated vegetation in the layers 35-26 to mainly composite-dominated spectra in the layers 25-1. There is evidence for three relatively short-lived episodes of slightly milder climate in levels 22-20, 13-11, and 8-7, in each case reflected in an increase in tree pollen to 15-20 percent, and by the temporary reappearance of species such as hazel, alder and juniper. 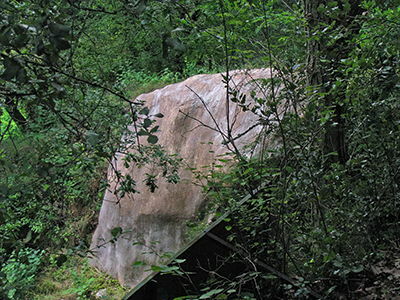 There was at the same time an increase in local humidity reflected in sedimentological data as well as a sharp increase in Cyperaceae and other water loving plants. There was at this time a sharp decrease in reindeer, from 60% in levels 19-18 to around 20% in levels 15-8, and a corresponding increase in red deer, horses and bovids. This corresponds to a transition from isotope stage 4 to stage 3. However evidence suggests that the stratigraphic sequence at Combe Grenal comes to an end by around 50 000 BP. It should be noted that Thermoluminescence data available for this site is questionable in its reliability. 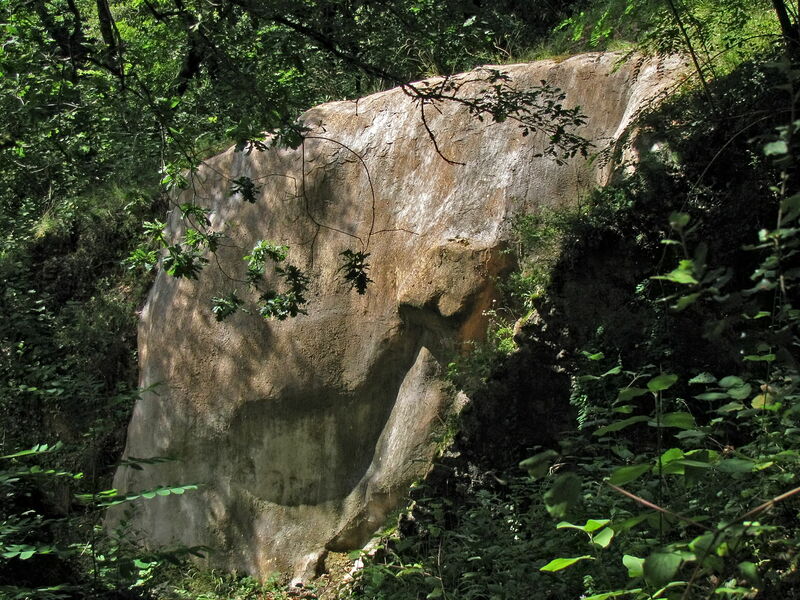 Cast of the post hole recorded by Bordes (1972) in one of the later Mousterian levels, layer 14, containing a denticulate/serrated Mousterian industry at Combe Grenal. The stake was approximately 4 cm in diameter, and penetrated for a depth of at least 20 cm into the underlying deposits.